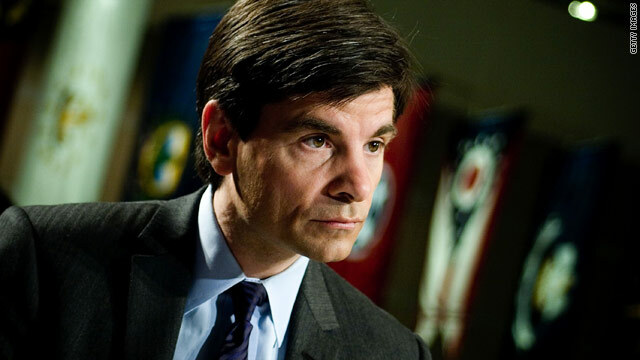 George Stephanopoulos joined ABC News in 1997 as a news analyst for "This Week." George Stephanopoulos has been named anchor of ABC's "Good Morning America"
He will fill in the gap left by Diane Sawyer, who will anchor "World News Tonight." (CNN) -- George Stephanopoulos has been named the new anchor of "Good Morning America," and will start next Monday, ABC News President David Westin announced today. Stephanopoulos, currently the moderator of the Sunday news show, "This Week," will round out a new team for the morning show, anchoring alongside Robin Roberts. He will fill in the gap left by Diane Sawyer who is moving on to anchor the nightly newscast, "World News Tonight." Sawyer joins Katie Couric of the "CBS Evening News" as a female anchor of a major U.S. broadcaster's nightly news. Newly named news anchor Juju Chang will be joining Stephanopoulos as a newcomer on the morning show, replacing former news anchor Chris Cuomo, who announced on Thursday morning's "Good Morning America" that he would be leaving the show to co-anchor the network's prime-time newsmagazine, "20/20." "It is a dream job for a journalist like me, but it was also a very difficult decision because I am leaving a special place and crew and all of you and you are all part of my family," Cuomo said of his move to "20/20" on Thursday morning's "GMA." Cuomo will be teamed with Elizabeth Vargas on "20/20" and fills a slot left open when co-anchor John Stossel left earlier this year. He will also report for ABC's other newscasts. Stephanopoulos, 48, joined ABC News in 1997 as a news analyst for "This Week" after switching from a career in politics, most notably as an adviser to President Clinton during his run for the White House and as part of the administration, into media. He began anchoring "This Week" in 2002, and was named chief Washington correspondent in 2005.